Photo: DC photojournalist Marty Katz. 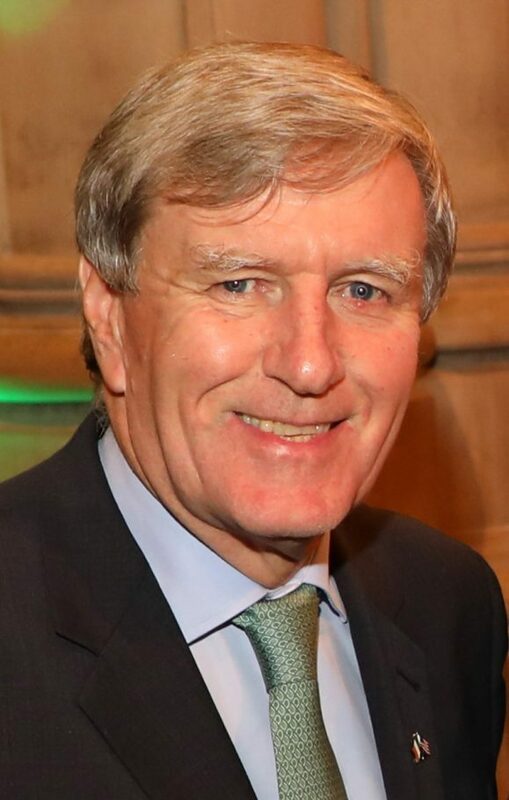 Ambassador Dan Mulhall, Ireland’s ambassador to the United States, answers some frequently asked questions about the implications for Ireland as its nearest neighbor leaves the European Union. Ireland has had a productive 45-year partnership with the United Kingdom as fellow members of the European Union, and the rapport built up within the EU framework has brought Irish-UK bilateral relations to new heights of amity in recent years. This strengthened our ability to work together to bring peace to Northern Ireland, a peace the EU consistently encouraged and continues strongly to support. (I had the honor during my assignment as Ambassador in London of participating in the first Irish State Visit to Britain when President Higgins visited in April 2014). While we did not want the UK to leave the European Union because such a move could pose a risk to our bilateral relations and complicate the situation in Northern Ireland, we accepted that this was a matter for the British people to decide and, on the back of the referendum result, our priority now is to minimize the downsides of Brexit for Ireland and to take advantage of any upsides that may arise. The first point to be made is that Ireland will remain a fully committed member of the European Union, and we will approach the current EU-UK negotiations as an EU member, seeking an optimal outcome for the EU and for Ireland. Ireland’s commitment to the EU is anchored by the significant benefit we have derived from membership, which, among other things, has helped transform our economy, making it more open and internationally competitive. In the most recent Irish opinion poll, 92 percent of respondents declared themselves in favor of EU membership. Indeed, public enthusiasm for the EU has risen to record levels in Ireland since the UK’s decision to leave the Union. Let me make it plain: the departure from the EU of our nearest neighbor generates unwelcome challenges and uncertainties for us. It deprives Ireland of an influential, like-minded country around the EU negotiating table. It complicates our bilateral relations with Britain at a time when we continue to need to work closely together as co-guarantors of the Good Friday Agreement so as to promote peace and reconciliation in Northern Ireland. If Britain leaves the EU single market and the customs union, which is currently the stated intention of the British Government, this will pose a risk to the lucrative, two-way flow of trade and investment between Ireland and Britain which benefits both our countries and sustains significant employment on both sides of the Irish Sea. And, crucially, Brexit brings added complications to an already difficult political situation in Northern Ireland. Our Government’s approach to the implications of Brexit for Northern Ireland and the border in Ireland has been cogent and clear from the outset. It sees the situation in Northern Ireland as sui generis in that it is the only part of the UK to have a land border with the European Union. Moreover, practically everyone in Northern Ireland is entitled to be an Irish citizen, and therefore a citizen of the European Union. And finally, Northern Ireland is the subject of an international agreement between the Irish and British Governments. The Good Friday Agreement of 1998 provides a framework for peace and political progress there. Ireland’s 26 EU partners have fully recognized the unique circumstances that apply in Northern Ireland and they resolved to settle the issues connected with the Irish border as part of the ‘withdrawal agreement’ that needs to be concluded before progress can be made in negotiations on the future relationship between the EU and the UK. Our Government has always insisted that there can be no change to the invisible border in Ireland that has existed for 20 years. This has been one of the dividends of the Good Friday Agreement and it is part of the scaffolding that supports the peace process. Our EU partners are unanimously agreed on this point, as is the British Government. The point at issue has been how to achieve this desired end. At the December European Council, agreement in principle was reached on three key areas, including on how to deal with the unique circumstances in Northern Ireland. At that time, the British Government reaffirmed its guarantee to avoid damage to the Good Friday Agreement, including by preventing the creation of a hard border. It said that, if this could not be achieved through the future overall EU-UK relationship, relevant EU rules would continue to apply as regards Northern Ireland. While this backstop arrangement is not our first preference, it offers a necessary safety net, unless and until another solution can be agreed. On that basis, a green light was given for the second stage of the Brexit negotiations to begin – “as long as all commitments undertaken during the first phase are respected in full and translated faithfully into legal terms as quickly as possible”. The position of our Government is that the UK’s December commitments on Ireland, along with those it has made in other areas, now need to be turned into a legally binding agreement. The EU side has put a draft legal text on Ireland on the table, including the backstop guaranteeing that the current invisible border will not change post-Brexit. The British Prime Minister gave further assurances on this issue at the last EU Summit in March. While good headway is being made on some issues, there remains a major gap on border arrangements. We are looking for real and substantial progress by the time EU Heads of State and Government meet again in Brussels at the end of June. In this we have the unswerving support of our EU partners. Everyone knows that there cannot be an EU-UK agreement without a solution to the border issue. There is an urgency about this as the EU and UK negotiators need to get down to work on the complicated business of agreeing the terms of the future relationship between the two. We earnestly hope that the unique and special partnership to which the British Prime Minister aspires will come into being between the EU and the UK because that kind of arrangement will serve to minimize the negative effects of Brexit for Ireland. Once the issue of the border in Ireland is resolved, our Government will be among the strongest advocates within the EU in favor of a close economic and trade partnership with the United Kingdom.